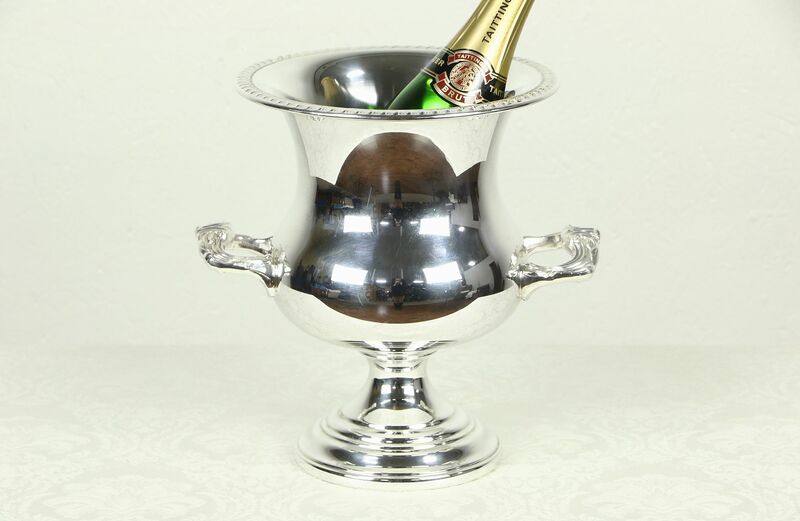 About 60 years old, a silverplate champagne bucket or wine cooler or chiller is signed "Sheridan by Taunton Silversmiths." Finely detailed, there is a small ding just above the footed base, see photos. This vintage serving ware is in very fine condition. Size is 9" diameter, 11" across the handles and 10 1/2" tall.